Dr Kirsty Hughes is a University lecturer at the University of Cambridge, Faculty of Law, where she specialises in Human Rights and Public Law. 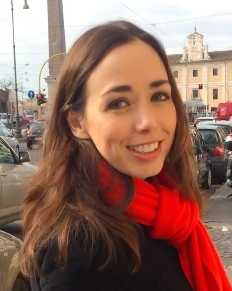 She is also a member of the University of Cambridge Centre for Public Law, the Cambridge Migration Research Network, a Fellow of Clare College, and an academic researcher at Blackstone Chambers. Her research interests are in the fields of migration, human rights, public law and media law. She is particularly interested in how we conceptualize rights, the relationship between theory and human rights reasoning, the human rights of migrants, the law of privacy and the right to protest. The most recent strand of her research examines the role of human rights law in protecting EU nationals living in the UK post-Brexit. Her research on this issue was cited in the Parliamentary Joint Committee on Human Rights’s report into the human rights implications of Brexit and she has given evidence to the House of Lords EU Justice Sub-Committee.